It is with a heavy heart and immense sadness that I write to you this afternoon. Fr. 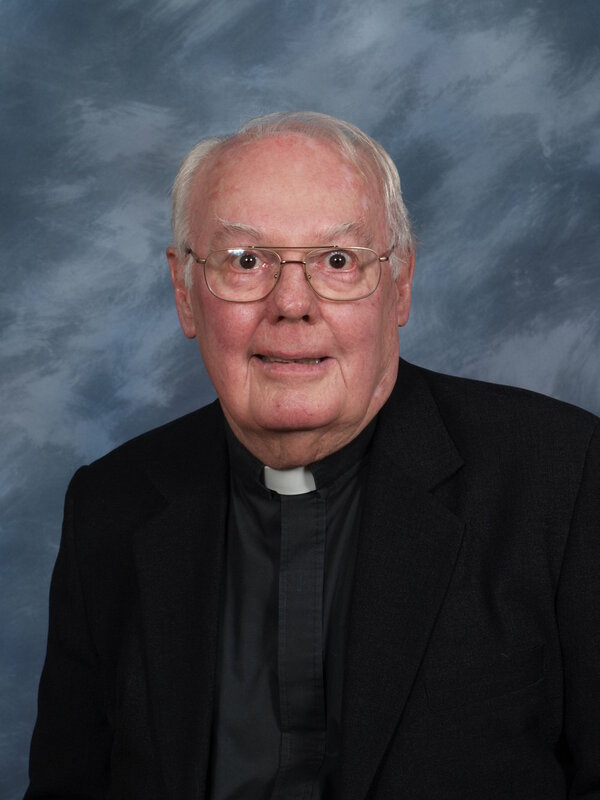 Bob French, our beloved, retired pastor, died this morning while vacationing on a cruise through Europe with his priest friend Fr. Dan Klem. 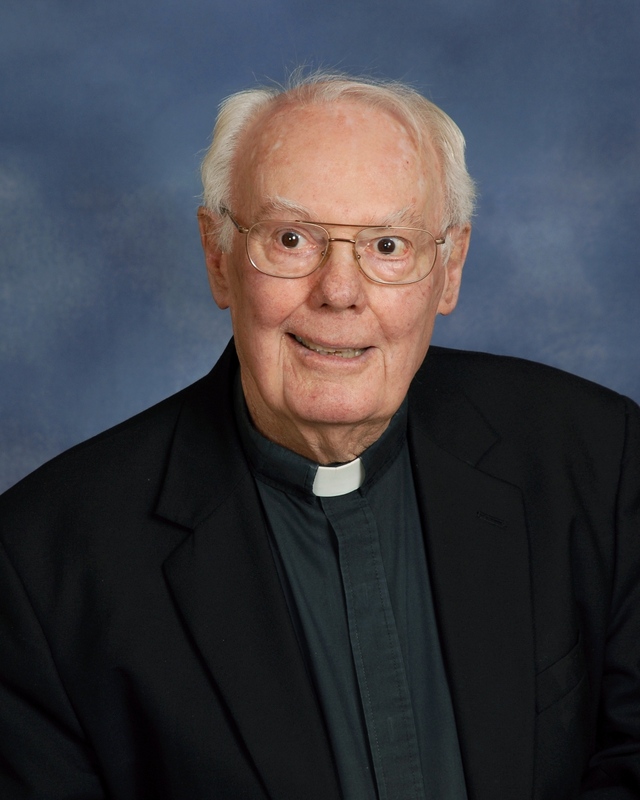 A native of this region of our Diocese, Bob was ordained in 1963 and dedicated his life to serving the Church and our Diocese. 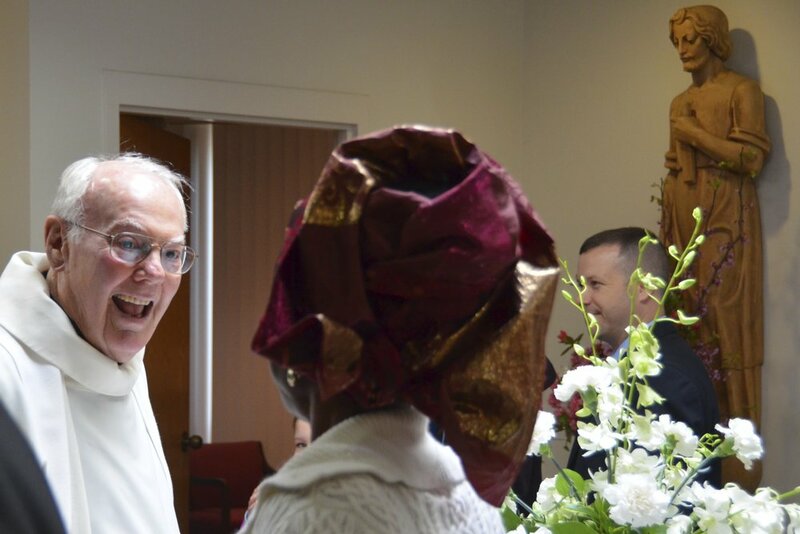 As many of you know, he spent his last fourteen years of active ministry as the pastor of Immaculate Conception until his retirement. But even in retirement, Bob maintained a presence in our community, assisting with Daily Mass, weekend liturgies, and funerals. He loved this community and its work as church. He will be missed by so many. On a personal note, what I cherished about Bob was his wisdom of 53 years of priesthood and his willingness to offer me advice--even when I did not ask for it! That was Bob. He helped to guide me as a new pastor and warmly welcomed me to this community. I will miss his presence, our conversations, and too, our continuous banter with one another. I loved to get him laughing, which in turn, got me to laugh. At this time, we have no information concerning funeral arrangements. It could be several days before we know anything further. However, as details unfold, I will continue to keep the parish informed. In these days ahead, please keep Fr. Bob French in your prayers. Let us rejoice in his life and the gifts he shared with our community. And let us, too, remember his family, priest friends, and this community in our prayers. Bob, my friend, may you now rest in peace and live forever in the new life Jesus promised each of us. Mercy is much more than forgiveness. It can be as simple as the smile or the kindness of a stranger. Working in the Morning Outreach Ministry at Immaculate Conception gives our community many opportunities to experience mercy. This ministry provides Hampton residents financial assistance with their utility payments when life throws them a curve. Our volunteers for this ministry primarily work face to face with individuals who need financial assistance and for whom it is often very difficult to ask for help. The appreciation we receive when we are able to help is very rewarding. To relieve their stress, if even for a moment, is not only mercy, but an instance of God’s grace. Serving in this ministry has allowed me to witness great acts of kindness. Once, a gentleman was asking for help with his electric bill since he lost his job and was no longer was able to get assistance. He was an older gentleman and overheard the story of another guest of our ministry who was not able to work because of caring for a sick child. The older gentleman came back into the office after we assisted him and handed him $20.00 and said that he wished he could give him more, but it was all he had. In another case, we also have a very kind lady who offered on two separate occasions to pay the electric bill for someone in need. She preferred to remain anonymous and wanted no accolades. She did not want to meet those whom she helped. She was simply called by the Holy Spirit to pay their bills. All she asks is that the person be very much in need and that their balance be more than the $75.00 that we are able to provide. Both of these people, to me, are the living expression of the compassion and love of God. The smile, tears (happy) and gratitude that the person receiving shows is so rewarding that it is a blessing for us. Mercy for anyone is a gift of grace that is truly awesome! In these challenging times, in this Year of Mercy, perhaps we ought to ask ourselves, this Lent, how we might follow the example of these two people, how might we extend love, consolation and mercy to those who need it most? God of compassion and of love, help us to give in whatever way we can, in spite of our limitations and deficiencies, so that we can love and care for those who may need it most. Help us to be vessels of your mercy. Fasting is a discipline of our Church that helps us to enter more deeply into the experience of this special season. Fasting means that those from 18 to 59 year of age are asked to have only one full meal. Some food may be taken at other meal times but should be less than one full meal. Liquids may be consumed at any time but this discipline does not allow for snacking between meals. We are asked to fast on Ash Wednesday and Good Friday. Abstinence is the absence of meat. The Church considers meat to be chickens, cows, sheep and pigs. Birds are also considered meat. Technically, the juices, sauces or gravies from these is permitted although admittedly made from meat. Catholics are asked to abstain from meat on Ash Wednesday as well as all the Fridays of Lent. Now having said the letter of the law, let’s consider the spirit of the law. As Catholics growing in our faith and preparing for the Easter celebration, we are invited, as a result of our fasting or abstaining, to reflect on Jesus as we skip a meal or downsize our lunch. When we have shrimp on Friday instead of a hamburger, how is Jesus more present in prayer through this choice? May we feel called to a more significant fast? May we abstain from meat on Wednesdays of Lent in addition to Fridays? Of course, if we find we are moving closer to Jesus because of this discipline.